The statute of limitations varies from state to state, and can be different based on circumstances. Talk to an attorney to find out details. If you have been injured in a car wreck or other manner due to someone else’s negligence, you need to be aware of the statue of limitations and how it can impact your case. A statute of limitations is the time limit which you have to file a lawsuit. The statute of limitations varies from state to state and may even be different depending on what type of case is involved. For example, the statute of limitations may be two years for a personal injury case but only one year for a slander or libel issue. Because the laws and time periods vary from state to state, it is best to talk with a personal injury lawyer as soon as possible. The statute of limitations can be related to when an injury or harm was discovered. For example, if you have surgery and the doctor leaves a small medical instrument inside your stomach, but you don’t discover the problem until a couple of years later, the statute of limitations might begin at the date of determining the problem, as opposed to the date of the surgery. Since there are many variables used in deciding the legal issues, it is important to consult a personal injury attorney who can help you decide what your next steps should be. Another example might involve medication and its long-term problems. If a high blood pressure drug is on the market for a few years, and then a link to bone cancer is discovered, the statute of limitations might be based on when the link to cancer is discovered and not to when the patient took the medicine. Again, each case has unique details so you should talk with an experienced personal injury attorney to determine how the statute of limitations might affect your situation. If you have been injured and feel that your injury is due to the negligence of another person (like an inattentive bus driver who was texting or a speeding car driver who ran a red light and hit your car) or a company (such as the manufacturer of a medical device that has caused you long-term damage), then you should talk with a personal injury attorney right away. Call 1-877-392-4878 to speak with a lawyer or contact us by email and we will get back with you as soon as possible. 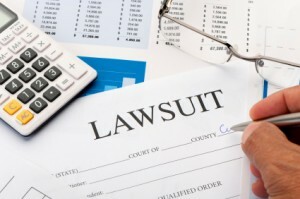 There is no cost to visit with an attorney and you are under no obligation to file a lawsuit.